Dussadee is a Partner in the Corporate practice of R&T Asia (Thailand) Limited. Dussadee graduated with a Bachelor of Laws from Thammasat University in 1996, an LL.M. from Washington College of Law, American University in 2000, and an LL.M. from Boston University in 2001. Dussadee is fluent in Thai and English. 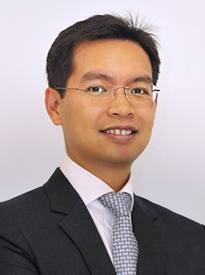 Before joining Rajah & Tann (Thailand) Limited, Dussadee had worked at a leading Thai law firm specializing in intellectual properties, commercial transaction and dispute resolutions. Dussadee has more than 10 years’ experience in providing advice and representing high-net-worth individuals, local entities and multi-national corporations on a wide range of corporate, investment and commercial transactions. His practice areas are mainly focused on commercial transaction, merger & acquisition, takeovers, joint ventures, securities investment, loan and financial transactions, foreign investment approvals, real estate/property transaction. Assisting an aerospace and defense company in reviewing and advising on a government procurement contract with the Royal Thai Navy for upgrading combat management and defense systems of frigates, and in acquiring a shareholding interest in a Thai company engaged in high-tech telecommunication products and related services. Assisting Thai SMEs in venture capital transaction with investment funds in Thailand. Assisting a Thai Public Limited Company in the process of issuing and offering a Depository Receipts to foreign investors and listing such Depository Receipts in the foreign stock exchange. Assisting a consortium of financial institutions on telecommunication laws and conducting a legal due diligence in connection with their bids to provide credit facilities to a major telecommunication operator for expansion of a 3G mobile network and infrastructure in Thailand. Providing advice to a multinational mobile phone network company in relation to data interception and data access via mobile phone and e-mail usage in Thailand. Providing advice related to cross-border electronic payment transactions to an international credit card settlement company. Assisting clients in their corporate restructuring pursuant to Thai SEC and SET’s regulations, and in the process of Initial Public Offerings, as well as issuance of ESOP and warrants. Assisting and providing advice to a Thai Public Limited Company in the process of issuing convertible debentures to foreign investors. Providing advice and assisting various clients in conducting legal due diligence and for merger & acquisition transactions.